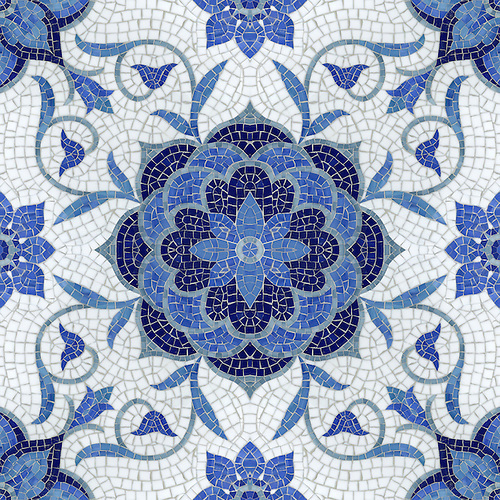 Thank you to Classical Addiction blog for featuring Sara Baldwin and New Ravenna Mosaics. To connect with Classical Addiction on Facebook, click here or follow @beauxartes on Twitter. Aurelia, a jewel glass mosaic, is shown in Lapis Lazuli, Iolite, Mica, Absolute White, and Blue Spinel. Ellen’s Fish Jewel glass mosaic by Ellen McCaleb for New Ravenna Mosaics. Granada Grande, a natural stone waterjet mosaic shown in Emperador Dark, Verde Luna, Rosa Verona, Calacatta Tia, Giallo Reale polished, is part of the Miraflores Collection by Paul Schatz for New Ravenna Mosaics. As seen in Elle Decor. 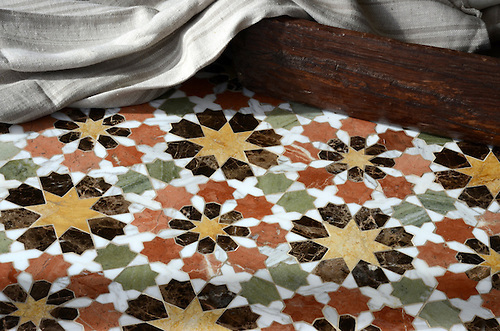 Click here to see more of our classic mosaics. 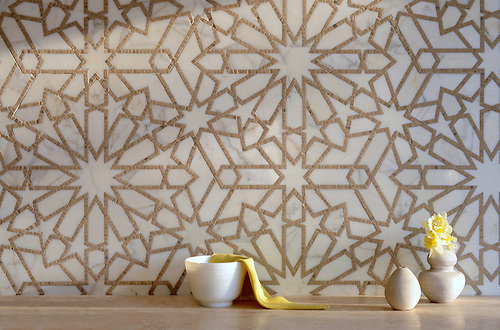 Click here to see more of the Miraflores Collection by Paul Schatz for New Ravenna Mosaics.